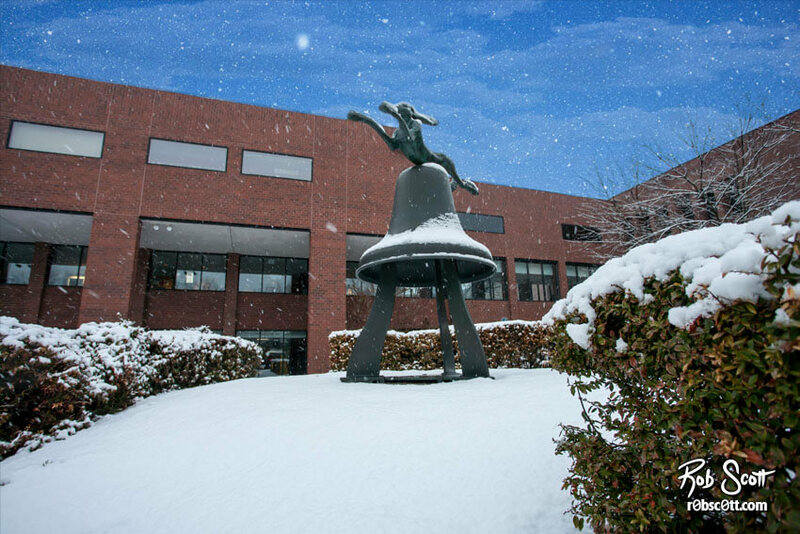 The Hare and Bell statue was created in 1988 by Barry Flanagan. It was installed on the campus of Johnson County Community College as part of the Oppenheimer-Stein Sculpture Collection in 1995, where it currently resides. It is number 2 in an edition of 5.